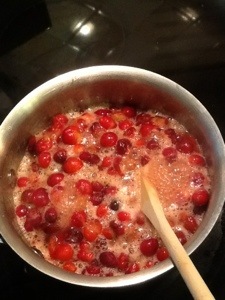 Cranberry sauce with a hint of orange… | ARTZCOOL'S BLOG! 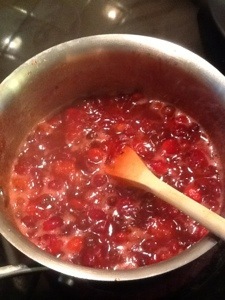 I normally try to make my own cranberry sauce, using water, cranberries, and sugar, but I thought I would try something a little different today, let’s see if anyone notices…. 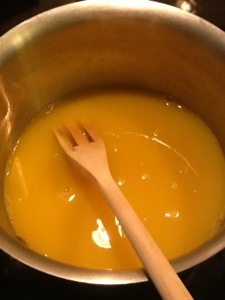 Instead of water, I am going to substitute orange juice. 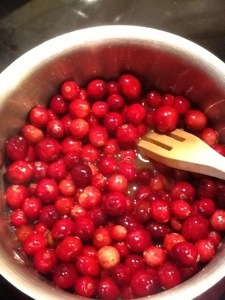 Here is what it looks like half way done, the kids had fun listening to the cranberries pop as they boiled. 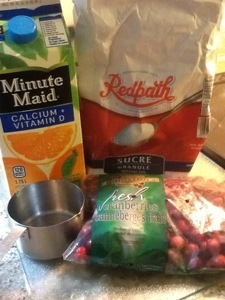 I can tell it is almost done, because the insides of the cranberries have expanded, and soaked up all of the orange juice and sugar. 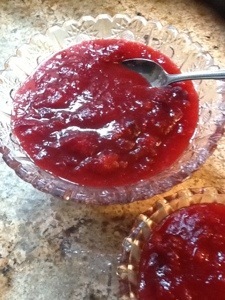 And tastes way better than the canned stuff! I hope this is enough for fourteen people!